The new caravan forming in Honduras is proof that what is happening at the border is a crisis. Primarily a humanitarian one. Our porous border is luring more families with children to undertake a dangerous journey. Placing children in danger & overwhelming our asylum system. There is ANOTHER new caravan forming that will soon be headed toward the United States. While Nancy Pelosi and Chuck Schumer refuse to acknowledge the national security and humanitarian crisis at our southern border, @realDonaldTrump is committed to addressing it. While the Democrats are busy making excuses for not funding the border wall and the establishment media is busy pushing an anti-Trump narrative, another reason for getting the wall done now has presented itself. 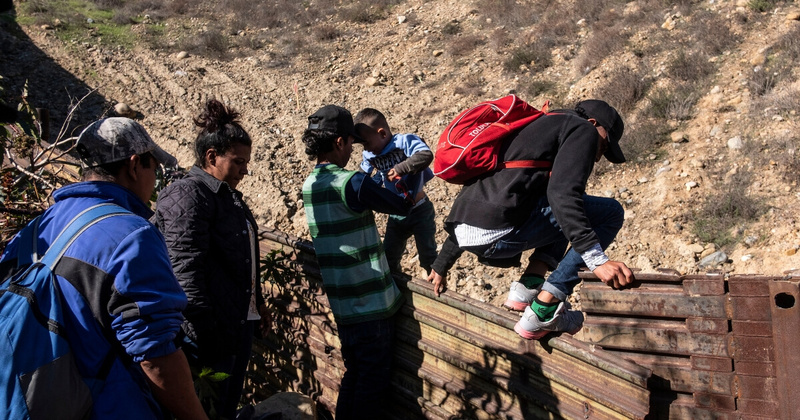 When it was politically expedient, the migrant caravans were a talking point of the left and frequently referred to as a “crisis.” Now that a new one is preparing to head for the U.S. border, it is no longer a talking point. That is because it supports President Donald Trump’s position of needing to secure the border for the sake of Americans and those foreign nationals being lured into making the dangerous journey here. According to The Washington Post (behind a paywall), the new caravan has been organized, using a flyer in order to recruit new “refugees” to join. They will be heading north next week in order to “test the immigration policies of Mexico and the United States.” The new caravan will be leaving San Pedro Sula, Honduras at 5 a.m., according to the flyer. Do you believe better security along the U.S. border will help save both American and foreign lives?